For the Spanish footballer, see Raúl López González. For the Mexican Olympic wrestler, see Raúl López (wrestler). López with Khimki Moscow Region. The Utah Jazz are an American professional basketball team based in Salt Lake City, Utah. The Jazz compete in the National Basketball Association (NBA) as a member club of the league's Western Conference, Northwest Division. Since 1991, the team has played its home games at Vivint Smart Home Arena. The franchise began play in 1974 as the New Orleans Jazz, an expansion team based in New Orleans; the Jazz moved to Salt Lake City in 1979. The team was referenced in the 2010 musical The Book of Mormon: The Musical. Although López was said by some to have been the Spanish version of John Stockton, his game was often described as more similar to that of Steve Nash and Tony Parker. He was known for his quickness, court vision, unselfishness, and passing ability. Also, he had the ability to create his own shot, which was a key skill in the modern NBA and EuroLeague. John Houston Stockton is an American former professional basketball player. He spent his entire professional playing career as a point guard for the Utah Jazz of the National Basketball Association (NBA), from 1984 to 2003. Stockton is regarded as one of the best point guards of all time, holding the NBA records for most career assists and steals by considerable margins. In 1998, at 18 years old, López began his professional career with Joventut Badalona in the Spanish ACB League. In 2000, he was signed by Real Madrid where he played for two seasons. Later, during the summer of 2005, he signed with the Spanish local team Akasvayu Girona, which finished 7th at the end of the 2005–06 ACB season. The Asociación de Clubes Españoles de Baloncesto, more commonly known as the Asociación de Clubs de Baloncesto (ACB), is a national sports association responsible for administering the main professional basketball league in Spain - the Liga Endesa. The organisation was founded in 1982. Real Madrid Baloncesto is a Spanish professional basketball team that was founded in 1931, as a division of the Real Madrid C.F. multi sports club. They play domestically in the Liga ACB, and internationally in the EuroLeague. The 2005–06 ACB season was the 23rd season of the Liga ACB. In 2001, López was selected in the first round of the 2001 NBA Draft, 24th overall, by the Utah Jazz. In September 2002, he signed his NBA rookie contract with the Utah Jazz and underwent surgery to repair the torn anterior cruciate ligament in his right knee, missing the entire 2002–03 NBA season. Finally, in the 2003–04 season, totally recovered from his knee injury, he played in all of the 82 regular season games as the backup to starting point guard Carlos Arroyo, while averaging 7.0 points, 3.7 assists and 1.9 rebounds in 19.7 minutes per game. The 2002–03 NBA season was the 57th season of the National Basketball Association. The season ended with the San Antonio Spurs beating the New Jersey Nets 4-2 in the 2003 NBA Finals. This would be Michael Jordan's last season in the NBA. On August 3, 2005, López was traded from the Jazz to the Memphis Grizzlies as part of the largest trade in NBA history, involving five teams, 13 players, and two draft picks. He was subsequently cut from the Memphis Grizzlies 2005–06 roster. 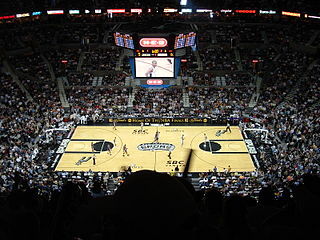 The 2005–06 NBA season was the 60th season of the National Basketball Association. The Miami Heat defeated the Dallas Mavericks in the NBA Finals, four games to two. VTB United League is an international professional men's club basketball league that was founded in 2008. It is made up of mostly Russian clubs, with some others from surrounding countries. Since 2013, it is the first tier of Russian professional club basketball. Therefore, the highest placed Russian team in the league is also named Russian national champions. Its goal is to unite the leading basketball clubs of Eastern Europe and Northern Europe together into one league. The league is sponsored by VTB Bank. Club Basket Bilbao Berri S.A.D., commonly known as Bilbao Basket and as RETAbet Bilbao Basket for sponsorship reasons, is a professional basketball club based in Bilbao, Spain. The team plays in the LEB Oro. Their home arena is the Bilbao Arena. López was a member of the Spanish junior national teams that won gold medals at the 1998 FIBA Europe Under-18 Championship and the 1999 FIBA Under-19 World Championship. 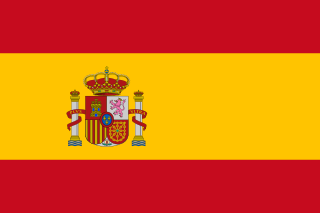 López was named, along with Juan Carlos Navarro, to the senior Spanish national basketball team that participated at the 2000 Summer Olympics in Sydney, Australia. He also won the bronze medal at the EuroBasket 2001. However, before playing for Spain at the 2002 FIBA World Championship, he suffered an injury to his right knee, the same one that occurred during the 2001–02 season, while he was playing with Real Madrid. He also won the silver medal at the 2008 Summer Olympics, and the gold medal at the EuroBasket 2009. Sergio Rodríguez Gómez is a Spanish professional basketball player for CSKA Moscow of the VTB United League and the EuroLeague. Standing at 6 ft 3 in (1.91 m), he plays at the point guard position. Rodriguez, nicknamed "El Chacho", won the EuroLeague title in 2015, and was an All-EuroLeague First Team selection, as well as the EuroLeague MVP the year before. Zoran Planinić is a retired Croatian professional basketball player. Rimas Kurtinaitis is a Lithuanian professional basketball coach, and a retired professional basketball player, who was a member of the senior Soviet and Lithuanian national basketball teams during his playing career. He is currently the head coach for Lietuvos rytas of the Lithuanian LKL league. At a height of 1.96 m (6'5") tall, during his playing career, he played at the shooting guard position. He is the only non-NBA player to ever participate at the NBA All-Star Weekend's Three-Point Contest, doing so in 1989. Hanno Aleksanteri Möttölä is a Finnish former professional basketball player. Möttölä played for the Atlanta Hawks in the National Basketball Association (NBA), at the power forward position, where he became the first player from Finland to play in the NBA. Juan Carlos Navarro Feijoo, commonly known as either Juan Carlos Navarro or J.C. Navarro, and nicknamed La Bomba, is a Spanish former professional basketball player. At 1.92 m and 91 kg (201 lb), he played at the shooting guard position. On March 14, 2014, he was named a EuroLeague Basketball Legend. Damir Markota is a Croatian professional basketball player playing for Cibona of the ABA League and the Croatian League. Standing at 2.08 m, he plays at the power forward position. Rodolfo "Rudy" Fernández y Farrés is a Spanish professional basketball player who plays for Real Madrid of the Liga ACB. He is a 6 ft 5 in (1.96 m) tall shooting guard and small forward. He is a three-time All-EuroLeague Team selection and won the EuroLeague title in 2015 and 2018. During his stint in the NBA, he was an NBA All-Rookie Second Team member. Felipe Reyes Cabanas is a Spanish professional basketball player who plays with and captains Real Madrid. He also represented the senior Spanish national basketball team. Standing at a height of 2.06 m tall, and weighing 120 kg (265 lbs. ), he plays at the power forward and center positions. Lazaros Papadopoulos, is a retired Greek professional basketball player. He was listed at 7 ft 265 lbs (120 kg), and played the center position. Born in Krasnodar, Papadopoulos started his professional career with Iraklis. An All-EuroLeague Second Team selection in 2007, he played for several teams in Europe throughout his professional career, most notably winning the EuroLeague twice, in 2002 with Panathinaikos and in 2012 with Olympiacos. Papadopoulos represented Greece regularly, winning the gold medal in the 2005 EuroBasket, and the silver medal in the 2006 FIBA World Championship. Ioannis Bourousis is a Greek professional basketball player for the Zhejiang Lions of the Chinese Basketball Association (CBA). He is a 7 ft ​3⁄4 in 270 lb (122 kg) tall center. A two-time All-EuroLeague First Team selection, Bourousis has been compared to FIBA Hall of Fame center Vlade Divac by San Antonio Spurs' head coach Gregg Popovich. Álex Mumbrú Murcia, is a Spanish former professional basketball player, and a professional basketball coach, who currently works for RETAbet Bilbao Basket as head coach. He was a 2.02 m tall small forward. Carlos Eduardo Cabezas Jurado is a Spanish professional basketball player for Alba Fehérvár. He is the nephew of the former Uruguayan professional footballer Hugo Cabezas, who played in Spain in the late 70s. His father, and his grandfather, are also former Uruguayan professional basketball players. He is a 1.87 m tall point guard. Konstantine Demetrios "Kosta" Koufos is a Greek-American professional basketball player for the Sacramento Kings of the National Basketball Association (NBA). Koufos played one season at Ohio State before being selected by the Utah Jazz with the 23rd overall pick in the 2008 NBA draft. Sergio Llull Melià is a Spanish professional basketball player for Real Madrid of the Liga ACB. He is a 6 ft 3 3⁄4 in (1.92 m) tall point guard-shooting guard. Dairis Bertāns is a Latvian professional basketball player for Olimpia Milano of the Italian Lega Basket Serie A (LBA) and the EuroLeague. He also plays for the Latvia national basketball team. Marcelo "Marcelinho" Tieppo Huertas is a Brazilian-Italian professional basketball player for Baskonia of the Liga ACB and the EuroLeague. He is also a member of the senior men's Brazilian national basketball team, and holds Italian citizenship. Víctor Claver Arocas is a Spanish professional basketball player for FC Barcelona Lassa of the Liga ACB and the EuroLeague. Tibor Pleiß is a German professional basketball player for Anadolu Efes of the Turkish Super League and the EuroLeague. Standing 7 feet 3 inches (2.21 m), he plays the center position. He is also a member of the German national team. Marko Todorović is a Montenegrin professional basketball player for Divina Seguros Joventut of the Liga ACB. He is a 6 ft 10 ​3⁄4" in tall power forward-center. Ricardo Fischer is a Brazilian professional basketball player who last played for Corinthians of the NBB in Brazil. Fischer has also represented the senior Brazilian national basketball team. ↑ Talkbasket.net Khimki adds Lopez. ↑ BILBAO lands Raul Lopez. ↑ "Raül López se retirará al final de temporada" (in Spanish). ACB.com. 3 March 2016.